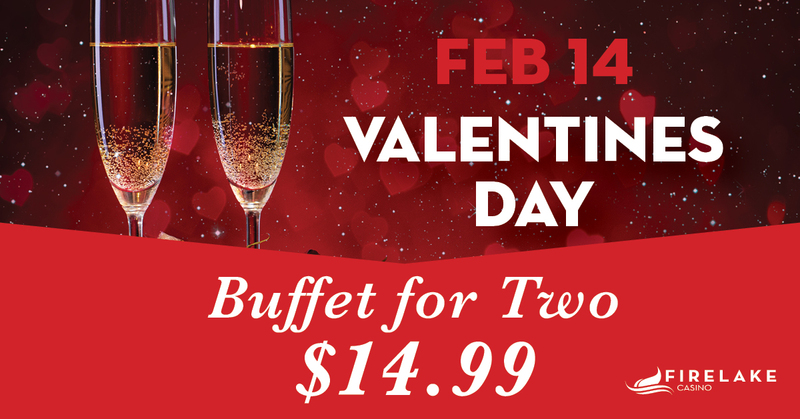 Come out and celebrate Valentine's Day at FireLake Casino. $14.99 buffet for two, plus start your weekend early, it's the Weekend Warmup! Earn 5 points on slots and receive $10 Bonus Play on Thursdays from 5pm - 10pm. Plus, win $100 cash in hot seat drawings every 30 minutes from 7pm - 9pm.